We will contact you to make a suitable time. We normally need two weeks notice but if the job is urgent we'll do the treatment as soon as possible. Silverfish are a common household pest control issue that often go unseen. In books, clothes and small spaces, they like to hide away, but the damage it does can be disastrous. The small, silver looking insect will wriggle into all kinds of property and spread disease in no time at all. Identifying this little critter and knowing how to prevent and eradicate it is essential for any healthy and happy household. Silverfish are sneaky, reclusive creatures. They thrive in most climates, but prefer to set up camp in dark, damp areas, particularly paper and damp clothing. In most homes, it isn’t unusual to find a silverfish scamper out when a box is moved or a pile of books is scattered. They are also attracted to places with lots of water, like the kitchen and bathroom. The ceiling cavity is also a good breeding environment for silverfish as well as wall voids and sub floor areas. One of the best ways to control pests including silverfish is to prevent them from making your home their own. Firstly, you need to inspect incoming goods that may harbour silverfish. This is anything coming into your home in cardboard boxes plus old books, furniture etc. Books, papers, files and so on should be stored in light and airy conditions where possible. Books hidden away in closed cupboards, particularly if infrequently opened, can provide very suitable conditions for silverfish development. In kitchen areas tight containment of food and frequent cleaning of scraps and crumbs help to reduce the attractiveness of the environment to silverfish. Clothes should be correctly stored packing seasonal clothing in sealed plastic bags, using plastic liners for drawers and ensuring a regular cleaning regime. This controls silverfish access. Prevention doesn’t always work and sometimes cleaning habits fall behind. If you feel the silverfish are taking over, don’t stress. Instead, get a little help from the experts! 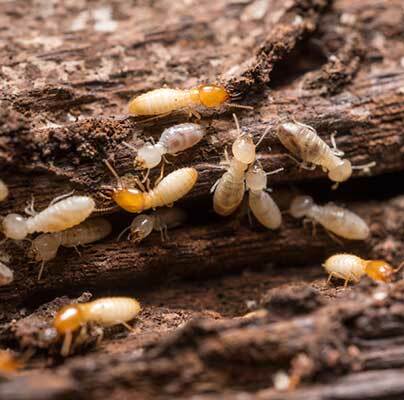 If you are looking for pest control in Brisbane, Gold Coast or Sunshine Coast, call Hitman on 1800 1800 32 and get rid of the silverfish before they take over your home. Treating your home, inside and out for: Cockroaches, Ants, Spiders, Silverfish. 20 years in termite and pest treatments! Want to become a Hitman Franchisee? Hitman Professional Pest Control are leading the way in domestic, commercial, and residential pest control, pest protection and pest prevention. Since first starting, Hitman has gone from strength to strength as a result of their honest and reliable service, and continued excellence in the pest control industry.